Thermoplastic roofing is roof material made of a heat-weldable plastic material. Several basic compositional varieties of thermoplastic roofing are available: polyvinyl chloride, thermoplastic olefin, chlorinated polyethylene and compounded thermoplastics. All varieties of these membrane-style roofing materials can be heated multiple times as needed to soften and seal them at the seams. Thermoplastic roofing is also recyclable and requires minimal maintenance. Thermoplastic roofing is often on commercial properties because it is suitable as a flat or low-slope roofing material. Polyvinyl chloride sheets, when used as thermoplastic roofing, contain added stabilizers and plasticizers to help the sheets retain their flexibility over time. The seams between sheets on a roof can be heat sealed to make them water- and air-tight. PVC thermoplastic roofing comes in several colors and is popular in gray or white. Thermoplastic olefin roofing sheets have a different chemical makeup and different additives than PVC thermoplastic roofing. TPO sheets are a laminated blend of polypropylene and ethylene propylene, with polyester as a reinforcing agent. Flame retardant, colorant and UV-absorbing materials are added to make TPO a desirable roofing material. TPO is heat sealed, like PVC roofing. White and black are popular [TPO roofing](https://homesteadycom/facts-5631174-tpo-roofing-html) colors. Thermoplastic roofing is sometimes made of a blend of plastic materials or PVC alloys. Tri-polymer alloy is a blend of PVC, ketone ethylene ether and chlorinated polyethylene. TPA thermoplastic roofing is usually a single-ply membrane roofing system which can be set in place with gravel as a ballast, fastened with screws or heat sealed. It's designed to be water tight and weather resistant. The type of plastics used in all thermoplastic roofing materials make thermoplastic roofs flexible even as they get older, which makes them resistant to the cracking often seen in older types of roofing materials as they age. 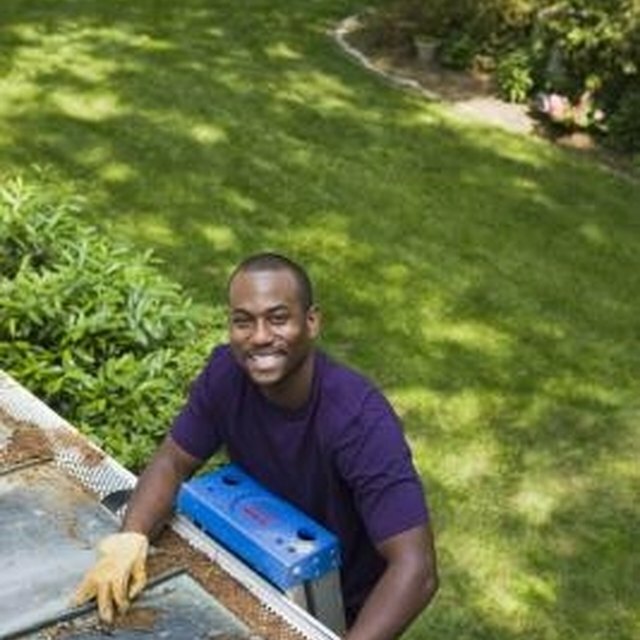 Thermoplastic roofing is also resistant to ripping and tearing and is also resistant to algae. Some thermoplastic roofing membranes are suited to applying photovoltaic solar energy cells as well. Thermoplastic roofing is considered energy efficient and in most proper applications, meets Energy Star requirements for air conditioned buildings.